Inspired by Fontane’s famous poem about the generous “Herr von Ribbeck auf Ribbeck im Havelland”, German designer Laura Straßer created a porcelain lamp reminiscent of a pear. Accordingly, she chose the name ‘Fabella’, which means ‘anecdote’ in Latin and creates a connection to this beautiful poem, which is by the way based on a true story. For Caussa, Laura Straßer has reinterpreted her design by setting new accents with fresh colour and material combinations. Depending on the strength of the light bulb and the colour of the glazing, the porcelain shade becomes translucent and creates a unique glow and a pleasant lighting atmosphere. The pendant lamp comes in four different colour glazing, each combined with a polished brass connector ring and a white or black textile cable. 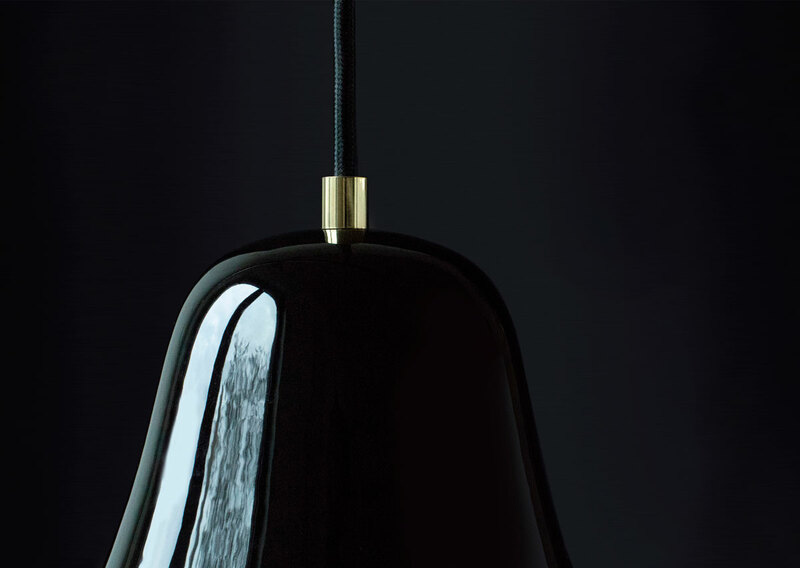 The pendant lamp comes in four different colour glazing, each combined with a polished brass connector ring and a white or black textile cable. Laura Straßer is an expert for white gold. Her Studio designs porcelain products for over 10 years now. Always in search of the “poclain essence” Straßer‘s work translates anecdotes, the extra-ordinary and curious things from the centuries- Iong tradition of the material into the product world of today.